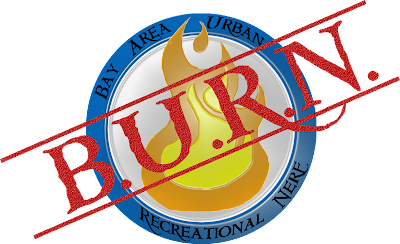 Bay Area Urban Recreational Nerf (B.U.R.N.) 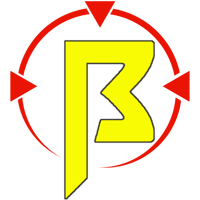 is a Nerf and foam blaster combat group located in the South Bay Area. B.U.R.N. 's goal is to unite individuals interested in participating in Nerf wars, discussing the latest mods and helping each other grow as Nerf enthusiasts. If you have drive, ingenuity, or just a passion for foam blasters, then B.U.R.N. is looking for you! Get more details and event information by joining our Facebook group. For upcoming events you can also check the Calendar page. All attendees must be 18 or older to play. No drugs or alcohol are allowed on the premises. Come Sober. Events are attended at your own risk B.U.R.N. is not responsible for any injuries sustained while you play. There will be no intentional physical contact of players. Blasters flags, and other equipment may not be thrown. A “hit” is whenever a dart contacts your person. You may only pick up ammo while in play. Ricochets do not count as hits unless otherwise specified for specific ammo (e.g. Vortex discs). All darts and equipment brought on field must be carried with you. Your respawn is not your armory. Leave any spent/used items there at your own risk. If your blaster breaks and you must change loadouts, please return to the staging area, swap your equipment, and return to play via your respawn point with a normal count time upon arrival. No going inside buildings, hopping fences, or climbing onto roofs or trees. Shields and melee weapons are not allowed unless a game type specifies otherwise. Moderators reserve the right to ban any player for misconduct. Moderators will decide what is and isn’t misconduct. No transportation other than by foot may be used. If you experience problems with another player, witness cheating, or have any disagreements with another player, please let a moderator know PRIVATELY. Problems will be addressed in a discreet and orderly manner. We don’t want accusations flying and tempers flaring. We will try to address all concerns, but remember this is a game, and if we hear someone complaining about everything, we’ll be less likely to be able to differentiate legitimate concerns from whiny nitpicking. No Blasters can look real. This includes Black or silver. Painted blasters will be assessed on a case by case basis. Modded Blasters are allowed. Modified blasters are subject to approval and restrictions by host(s) and must be cleared first. Stock ammunition only. If you can buy it on the shelf and it's approved for children, we'll probably allow it (this includes Kooshand FVJs). Still we reserve the right to ban any equipment. You are not allowed to take or use anyone’s equipment, unless authorized to do so. Dart rentals are $5 per person. Each paid participant will receive wristband to signify payment. Darts are a mix of Elite, Koosh, and FVJ. Participants renting darts may use up to 150 darts(eight 18rnd magazines +6 for sidearm). Darts may be replaced throughout the day when lost/worn. If you do not want your darts to be swept into the dart rental pool, please mark them in some way. If you mark and keep your own darts, you may not take darts from the pool. If you bring your own darts, you are responsible for sorting at the end of the day. You may not intentionally take anyone else’s darts without their permission. Keep in mind, darts WILL get lost throughout the game. The dart bin will be locked at all times unless an admin is present. There are usually tables and benches to set up, but feel free to bring your own. Bring money for food, we don't break for lunch, but we go out for a large dinner afterward.